IN a bid to bolster the world title-aspirations of their ward, the handlers of Bernabe ‘‘Abe’’ Concepcion, said they are determined to lure world-rated Chris Avalos to fight in the Philippines this October. ‘‘I already have initial talks with the camp of Avalos before his bout against Rey Perez. I’ll follow it up as soon as possible,’’ said Saved by the Bell Promotion chief Elmer Anuran, who joined hands with Ryan Gabriel of the Arci Promotions to bring the glory back to Concepcion’s career. Gabriel is Concepcion’s manager. In his first fight after losing to IBF super bantamweight champion Carl Frampton by TKO last February in Ireland, Avalos manhandled Perez at the Dr. Pepper Arena in Frisco, Texas. He also dominated former world-rated Drian Francisco two years ago in Las Vegas. Anuran said Avalos will gauge how far will the 27-year-old Concepcion can go in his search for the world title. ‘‘If Abe will beat Avalos, expect the ‘‘Real Deal’’ to have a shot at the world title,’’ said Anuran. Concepcion failed in his two tries for the world title but is now hitting the comeback trail under the guidance of the youthful duo of Gabriel and Anuran. ‘‘I’m willing to fight for the world title. I am thankful for the support of my handlers,’’ said Concepcion after flooring Tanzanian Juma Fundi to win the vacant WBO Oriental super bantamweight title last Friday at the Cuneta Astrodome. 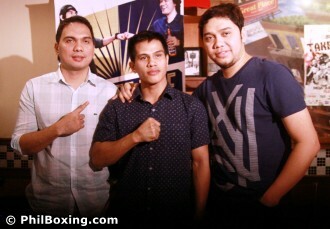 Concepcion said he hasn’t reached his peak but is confident that will be ready to fight this October. ‘‘On a scale of 10, I’m at 8,’’ said Concepcion, who was mobbed by his followers after hammering Fundi. Click here to view a list of other articles written by Dennis U. Eroa.